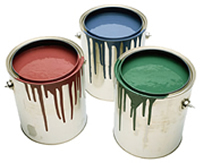 Still have half empty paint cans from your last paint job? How about Driveway Sealer? How about the pool chemicals, or fertilizers from last summer? 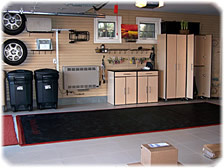 Are you postponing (or dreading) cleaning out the garage or shed simply because you have no idea what to do with these items? Do Not Bring: used motor oil & vehicle batteries (contact service station or retailer), Pharmaceutical wastes, Propane tanks (permanent HHW facility only), Oil-based or Latex Paint under 1/3-can full (discard lid, add kitty litter, stir, let dry, place in trash) cans with dried paint (if it rattles when shaken – remove lid and place in trash); empty containers (trash or recycle); everyday alkaline batteries (trash); glazing/spackle & joint compounds (trash). Sorry folks, now you have no excuses for not cleaning out the garage or shed this spring. C'mon at least you'll feel good about it when you're done. Maybe you can make a family project out of it (the kids can help with the general cleaning, but please be sure to keep a watchful eye on them around the actual hazardous chemicals). Oh yeah, and try to have fun! You're gonna feel so good about it when you're done, and just think of all the space you'll have in the garage why I bet you'll even have enough room for the car!